Kheper Games announced the launch of two new games. The first is an extension of their most popular line of adult party games, What the F*ck? Filthy Questions. The next is their latest in pot-themed party game spoofs, Potheads Against Sanity. Potheads Against Sanity includes 96 insane questions and 107 insane answer cards. Players take turns asking questions or making fill-in-the-blank statements and other players submit hilarious answers. What the F*ck? 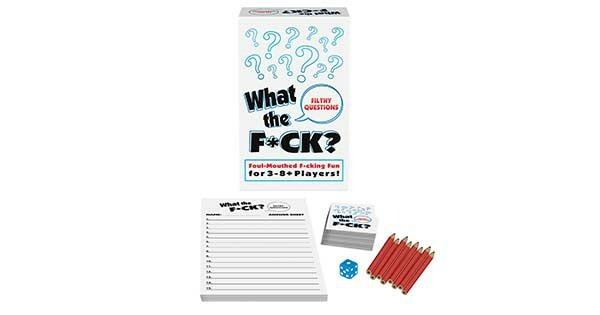 Filthy Questions joins the strong selling line of Kheper Games’ What the F*ck? games. This line also includes the What the F*ck? I Never Have, What the F*ck? Truth or Dare, What the F*ck? Comparions, What the F*ck? Bar Cards, What the F*ck? Original Version, What the F*ck? Raunchy Version, and What the F*ck? Totally F*cked Up Version. Potheads Against Sanity, joins Kheper Games’s line of pot games, including, THC, Weed! Card Game, Deluxe Weed, Lords of Cannabis, and Hash It Out.